A well built deck is an extension of your living area, an Outdoor Living Room! Create a space that features the outdoors and takes advantage of the views. Soft curve fronts can help add to the flow of your deck project and break up hard home lines. Spice things up with metal balusters in the rail and optimize your viewing area. There are decks, and then there are well built decks! 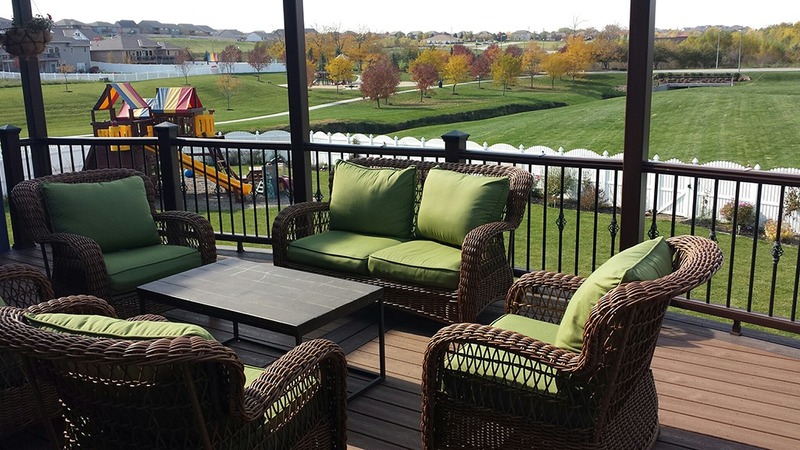 This entry was posted in Projects and tagged custom deck omaha, low maintenance decks omaha on January 15, 2015 by Decks, Decks and More Decks.